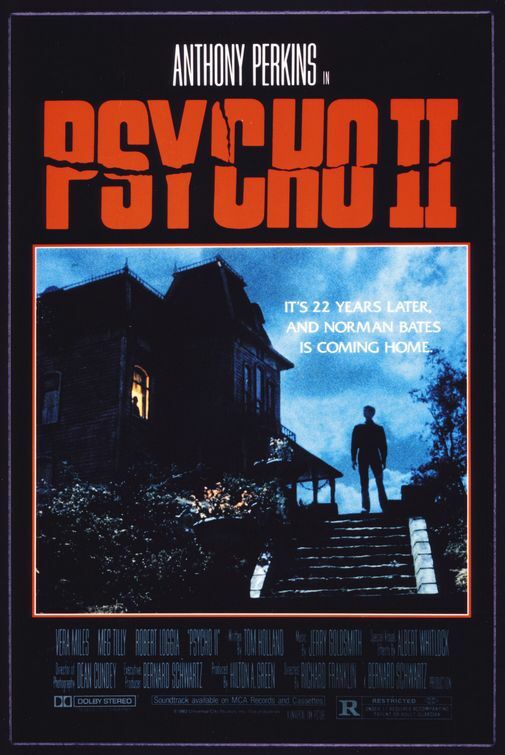 Hoff’s Horrorfest Presents: PSYCHO II! Hoff’s Horrorfest is a monthly show featuring stand-up comedy from me (Hoff Matthews) and a guest performer, followed by a horror movie screening. It’s free and BYOB. This month’s installment will be at 9:30pm, Friday, February 27th, at Brit Pack (3rd floor, 153 Lafayette, Manhattan). The very idea of Psycho II seems like a joke, like a gag from 30 Rock or one of the Scream sequels. Its 1960 Hitchcock predecessor is so sacred to both film buffs generally and horror fans specifically that the concept of a follow-up–let alone one released twenty-three years later, with a new director and in a vastly transformed pop cultural context–appears so obviously misguided and doomed to failure that it could only exist as a satirical indictment of Hollywood’s creative bankruptcy. And yet Psycho II, a whodunit slasher movie about a series of mysterious murders which begin after Norman Bates is released from a mental institution, is actually really good. It obviously isn’t shocking or innovative like Psycho was, but it’s clever and suspenseful and has a blackly humorous streak which would probably meet with Hitch’s approval. (The last scene is amazing, and has even been referenced in a couple Eminem songs.) 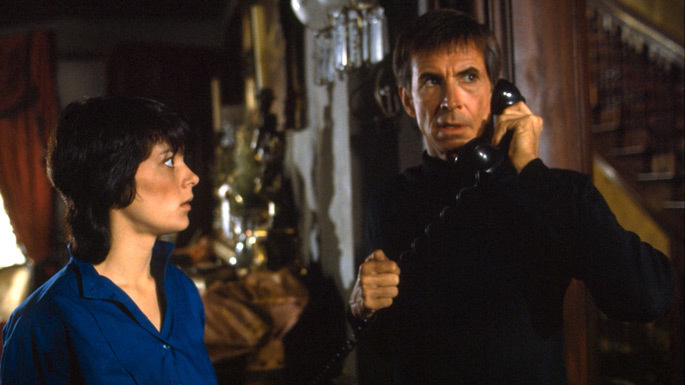 Anthony Perkins ably reprises his most famous role and ended up returning for Psycho III (which he directed!) and Psycho IV: The Beginning, each of which is worse than the film which preceded it but neither of which are as bad as one might expect. And in comparison to Gus Van Sant’s nearly shot-for-shot 1998 remake, Psychos II-IV seem not just competent but daringly original. So with the AMC series Bates Motel returning for its third season next month, I figured that now’s as good a time as any to revisit the first and maybe best attempt at resurrecting Norman and his mother. My guest performer this month will be Lukas Kaiser, SPIKE TV writer and my co-host on the monthly Brit Pack show HP5000. He is a funny man and was instrumental in getting this Horrorfest series going to begin with, so it’ll be cool to have him on. ← Hoff’s Horrorfest Presents: H. P. LOVECRAFT’S NECRONOMICON: BOOK OF THE DEAD! For different materials should have a different approach. it helped keep the line in the news and the public’s eye. Sunflower Seeds’ Health Benefits: Promoting Bone Health, Renewing Skin And More. to go to a veterinarian as soon as you notice these symptoms. This means that you need to eat snacks after breakfast, lunch and dinner. up the camera and other accessories without blocking any ingress or egress point.